Does Your Board Tell Compelling Stories About Your Mission? The other day, BoardSource senior governance consultant, Susan Decker, led a webinar entitled “Mission Movers: Crafting and Communicating Your Message.” In it, she pointed out specific roles that board members of nonprofit organizations are expected to carry on for communicating their mission. Does our organization have a clear strategic vision that supports our mission? Do I understand my role in communications? Do we have the necessary expertise to support and deliver solid messaging? Are there opportunities in my relationships that could benefit the goals of the organization? The point is: Storytelling plays a major role in advocating for your mission. It is meeting your audience where they currently are and using your narrative to take them on a journey to where you want them to be. Story is where, together, we get in touch with our humanity. It is where we truly connect. Download the full slide deck for Mission Movers. Does Your Fundraising Letter Tell a Compelling Story? Nonprofit organizations constantly juggle a variety of tools to fundraise. One tool that many nonprofits have been using for generations is the appeal letter. Whether it’s sent via post or email, how can we transform this into a more powerful medium that, once in the hands of donors, will move them to give? Our workshop will focus on writing your next appeal letter to include a compelling story about how your program impacts the lives of people you serve. We will cover story selection, building a vocabulary that is potent with meaning and intention, and overall presentation. 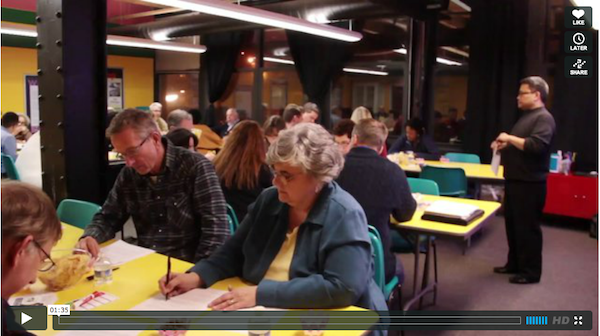 View and share this video clip from our last appeal letter workshop. Coffee and tasty nibbles will be served. REGISTER EARLY and get a great value.